Posted on January 28, 2019 at 1:03 pm. ORLANDO, Fla. (January 28, 2019) – The butterfly wings “seal of approval” that mark Non-GMO Project verified ingredients will once again adorn Valensa International’s Parry Organic Spirulina and Parry Organic Chlorella, as the application for renewal was recently granted, the company announced today. According to Umasudhan, C.P, (abbr. Uma) President and CEO of Valensa International, this mark gives manufacturers and distributors the opportunity to serve the growing demand for Vegan and Vegetarian lifestyles known to be deficient in plant-based sources of protein and Vitamin B12 and require food sources from non-genetically modified organisms (GMO). Uma also said that while the United States vegan and vegetarian market is exploding, other countries like Japan and South Korea lead the global consumption of Chlorella. The Non-GMO Project is a nonprofit organization that offers third-party non-GMO verification, which is demonstrated butterfly seal, which reports have shown to be important to consumers. The organization says Non-GMO Project Verified products are the fastest dollar growth trend in retail stores this year, with annual sales of Non-GMO Project Verified products exceeding $19.2 billion. Please visit Valensa International at booth No. 4578 during the annual Natural Products EXPO WEST™ at the Anaheim Convention Center, March 6-9, 2019. Since 2003, Valensa International and sister-company, Parry Nutraceuticals, have complied with all international organic standards, and avoided using genetically-engineered ingredients. Since then, the company was the first vegan nutrient-based organic spirulina compliant with USDA-NOP regulations, and the first USP-verified spirulina. Now, Valensa International has Organic Spirulina and Chlorella with the Non-GMO Verification for US and Canada distribution. Since 2003, Valensa has spearheaded the development of Organic Chlorella. Valensa’s Parry Organic Chlorella is phototropically-grown in a unique closed system. 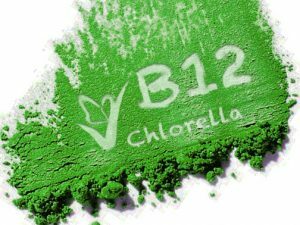 It provides a microalgae-based protein source, rich in vitamin B12, essential amino acids, fatty acids, as well as unique detoxification qualities (Chlorella Growth Factor). Also contains chlorophyll, beta-carotene and lutein among many other minerals and nutrients. With more than 4,000 metric tons of Parry Organic Spirulina sold in 30 countries over the last several years, Valensa International is leading the industry in Organic Spirulina manufacturing and distribution. Currently, Parry Organic Spirulina is the only USP Verified Spirulina on the market.